I’ve been a big fan of this podcast for a long time. 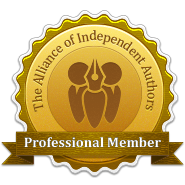 It’s a great source of both information and inspiration for self-published authors of all levels. So, it was great to be invited on and get a chance to talk about my journey so far. The first half is me talking about how I started and the challenges of writing Hard Scifi. The second half gets more technical and deals with the nitty-gritty of Facebook and Amazon marketing.